Few state boards of accountancy have the resources to evaluate the psychometric quality and content of a licensing examination or to review its development, scoring and administration. Moreover, few boards have the resources to evaluate the security and integrity of the electronic architecture and data communications surrounding a computer-based test (CBT). Because such evaluations and reviews are highly technical and time consuming activities, they can be performed more effectively by a single agency acting on behalf of all state boards of accountancy. Recognizing this need, the CPA Examination Review Board (ERB) was established and reports directly to the boards of accountancy. The ERB benefits from the involvement of partner-level CPAs from public accounting firms and other industry experts, many of whom have a long history with NASBA. After a re-organization in 2010, the ERB now consists of five volunteer members who serve rolling three year terms. Currently, those members are Sandy Wilson (chair), Nick Mastracchio (vice chair), Wes Johnson, Chuck Talbert and Dave Vaudt. These members utilize a full-time staff, and consultants as necessary, to accomplish audit procedures planned and overseen by the ERB. DeWit, Jackson and Porter cite the Business Environment and Concepts (BEC) portion of the exam as a major change in CBTe. This module used to be a purely multiple-choice module, but now includes a three-question essay called Constructed Responses. 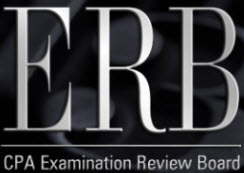 In the end, the ERB works to provide assurance that no matter what the changes and upgrades are, the boards of accountancy can rely upon the Uniform CPA Examination.